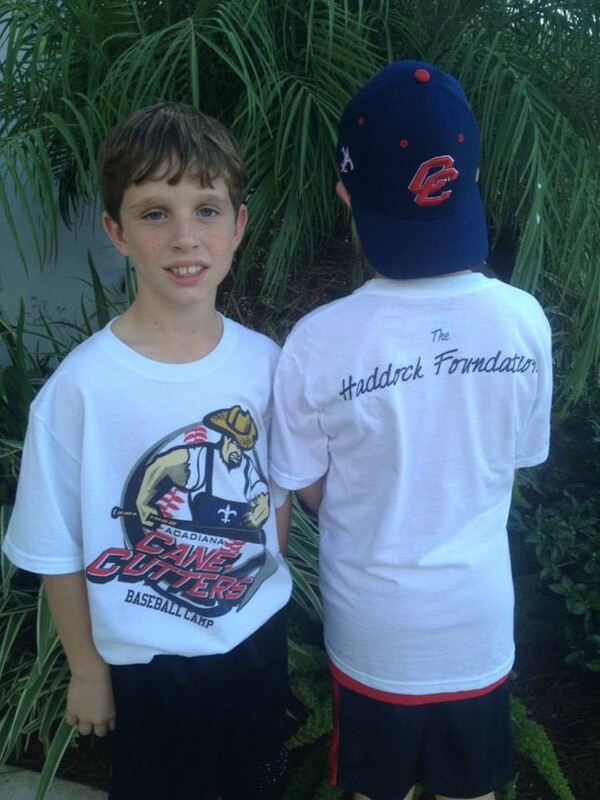 This summer The Haddock Foundation has again sponsored their annual baseball camp. 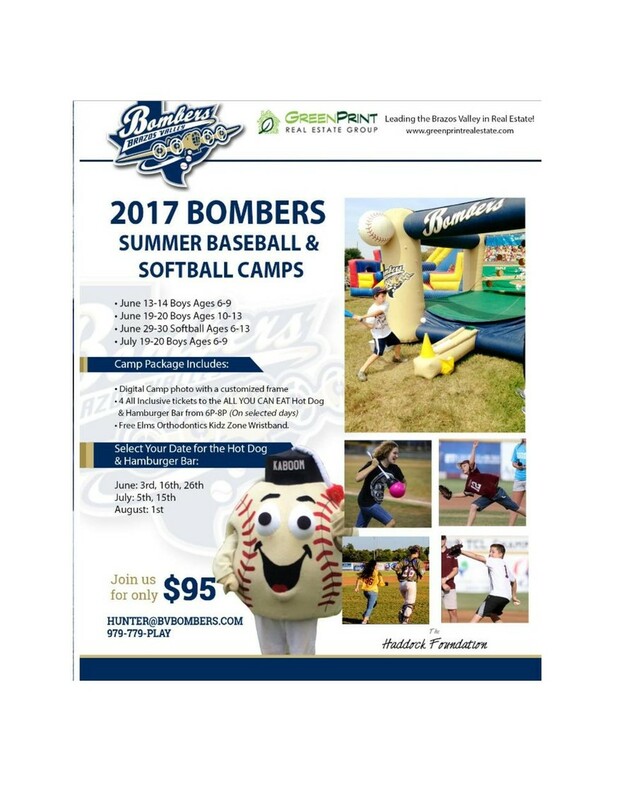 This two-day program is hosted by the Brazos Valley Bombers for youth ages 6-13. The mission of the Haddock Foundation, a 501(c)(3) corporation, is to foster national and international amateur sports competition. 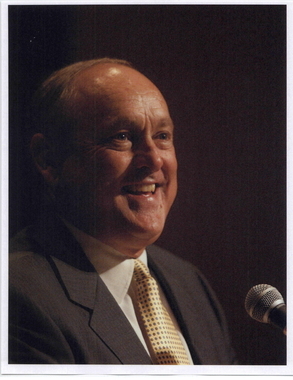 Gerald Haddock, a lifetime sports enthusiast and minority owner and General Counsel of the Texas Rangers from 1989 to 1998, is President of the Haddock Foundation. The Haddock Foundation currently serves as the general partner of the Texas Collegiate Baseball League, Ltd. (“TCL”), a summer wood bat league for talented baseball players seeking professional careers. 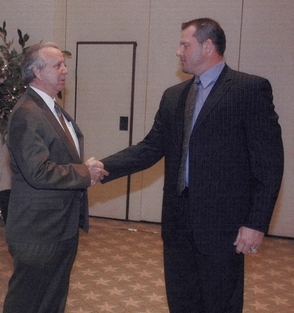 The TCL was co-founded by a company controlled by Mr. Haddock and Wayne Poage, former Dallas Baptist Athletic Director. 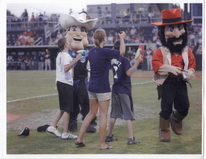 In 2007, the TCL licensed the operating rights for the baseball league to a reorganized TCL and the Haddock Foundation remains involved through active oversight and promotion of the licensed teams. 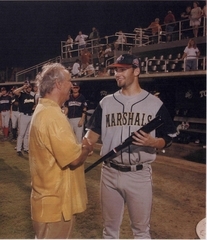 The TCL played its inaugural season in the summer of 2004 with eight teams in the Dallas-Fort Worth area. These teams had some of the best collegiate players from around the country and developed a strong fan base. Randy Galloway, a part owner of the Weatherford Wranglers during the first season and sports columnist for the Fort Worth Star-Telegram, noted in an article that “the league attracted premier college players from all over the country, giving them another option from the already established collegiate summer leagues.” His full statement is available by clicking here. Jim Reeves, also an original owner of the Weatherford Wranglers and a retired sports columnist for the Fort Worth Star-Telegram, calls the players in the league “fresh and exciting” and “the competition both thrilling and grueling.” Jim’s full statement is available here. The TCL is currently represented by more than 250 players from 91 different colleges and universities. 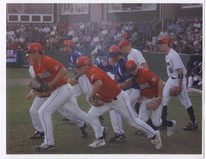 Some of the schools sending their standout players to TCL include the University of Alabama, University of Arkansas, Baylor University, Cal State Fullerton, Dallas Baptist University, University of Houston, Long Beach State University, Oklahoma State University, Oral Roberts University, Rice University, University of Texas, Texas A&M University, University of Texas at Arlington, and Wichita State University. The TCL is currently pursuing expansion of the League into other markets in Texas and Louisiana. The League continues to operate as one of the premier summer collegiate wooden bat leagues in the United States. If you are interested in bringing a TCL team to your town, please contact Uri Geva (co-owner of the Brazos Valley Bombers) at 979-779-5200, ext 5098 or by email at info@bvbombers.com. For more information on The Haddock Foundation, please contact Haddock Investments at 817-885-8390. To learn more about TCL, please visit http://www.texascollegiateleague.com/. 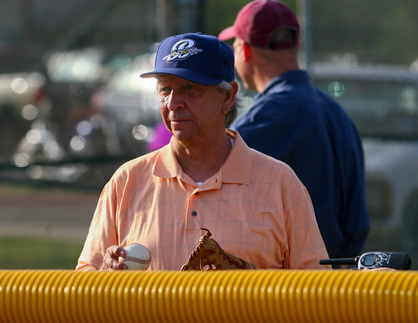 Gerald Haddock’s lifetime love of baseball inspired him to create The Haddock Foundation. But even before founding The Haddock Foundation, he was actively involved in the growth of the sport. In 1989, Gerald Haddock became a part owner of the Texas Rangers baseball club. It was during the negotiations for the sale of the team that Mr. Haddock met former President George W. Bush who was an owner of the team at that time. Gerald Haddock and President Bush formed a friendship over their mutual appreciation for the sport and each other. For Mr. Haddock’s 50th birthday, President Bush made a video discussing how he met Mr. Haddock and his relationship with him over the years.